But many South Africans are uncertain about the ANC’s future. 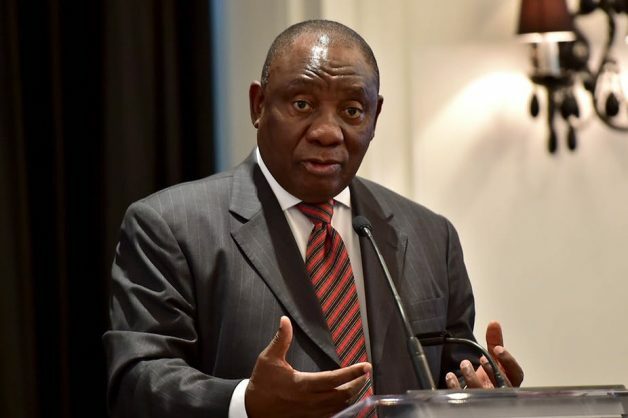 More than half of South Africans agree that the future of the ANC is uncertain because of the leadership issues within the party, but President Cyril Ramaphosa himself scores high throughout the country, an Ipsos market research survey has found. The first part of 2018 had been a bumpy ride for South African politics – as predicted by political analysts at the beginning of the year, Ipsos said in a statement on Saturday. “The new president of the country [Ramaphosa] has multiple issues to address; namely the poor performance of the rand, the slow growth of the economy, policy uncertainty, political leaders following their own agendas, and other issues are complicating the political scene and progress in the country. “With over 60 percent of the delegates in parliament the ANC should fulfil a strong leading role in the country, but currently more than half (54 percent) of South Africans agree that ‘The future of the ANC is uncertain because of the leadership issues within the party’,” the Ipsos statement said. This was one of the findings of the Ipsos Pulse of the People™ poll conducted in May – June this year. Altogether 3619 randomly selected South Africans were interviewed face-to-face in their homes and home languages by trained interviewers. The feeling of uncertainty was widespread. As could be expected, larger proportions of supporters of the main opposition parties – the Democratic Alliance and the Economic Freedom Fighters – agreed that the ANC had an uncertain future, but it was interesting to note that over half (52 percent) of ANC supporters also agreed. Only one in five South Africans (20 percent) felt certain about the future of the party. The findings of Ipsos’s leadership approval ratings showed that South Africans supported the notion that Ramaphosa should be more decisive, as appreciation of his role as a political leader had grown over the past few years and currently he enjoyed strong support from many quarters. All respondents, regardless of political opinion, were asked to rate Ramaphosa, among others, as a political leader. The results showed his growing support among South Africans. Support for the president came from the whole country, but slightly less so from the Western (6.3 out of 10) and Eastern Cape (6.9) and KwaZulu-Natal (6.3), although he still performed better than all other political leaders in every province. In Mpumalanga, the president scored 8.5 out of 10 while Deputy President David Mabuza who originates from this province received a score of 6.1 out of 10. In the Eastern Cape, performing almost on par with the president was Public Enterprises Minister Pravin Gordhan, with a score of 6.5, and in KwaZulu-Natal Zuma scored 5.9 as opposed to Ramaphosa’s 6.3. Support for Zuma in the rest of the country was very low. In the Western Cape, the province under DA administration, the performance of DA leader Mmusi Maimane was closest to Ramaphosa with a score of 5.7 out of 10. Ramaphosa’s performance was rated consistently high from both male and female South Africans of voting age and he scored very high (8.2 out of 10) among ANC supporters. Supporters from both the DA and the EFF rated the president’s performance higher than 5 out of 10. “If we compare President Ramaphosa’s performance with that of the other political party leaders and the deputy president, it becomes evident how far ahead the president is and how much South Africans expect leadership from him. “It is natural that both Mmusi Maimane and Julius Malema enjoy strong support from their own parties, but not so from supporters of other political parties. It is also interesting that women marginally support the ANC leaders more strongly, while men rate the DA’s Mmusi Maimane and EFF’s Julius Malema slightly higher than women do,” Ipsos said.